Click to check out my recent appearance on Bay News 9 talking about Florida’s short sale statistics and the state of the Tampa real estate market. 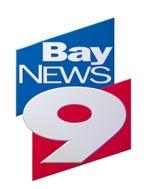 Recently I was invited to be interviewed on Bay News 9 to discuss the state of foreclosures in Florida, as well as the fact that Fannie Mae seems to be overpricing their REO properties. Check out the full interview.